Spanish TV group Mediapro has registered the VAR brand to provide the service throughout Europe. 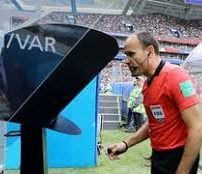 The company has received the green light from the Intellectual Property Office to use the Video Assistant Referee (VAR) branding for ten years. Mediapro will be the technological provider to La Liga in Spain, and the national leagues in Mexico and Portugal. In Portugal, Mediapro will be the official provider of VAR technology during the next five seasons, carrying an investment on equipment and infrastructure of over €1 million. Meanwhile, the Chinese company Orient Hontai has completed the acquisition of up to 52.5 per cent in Mediapro with WPP holding a 22.5 per cent stake and the founders Tatxo Benet and the president Jaume Roures with 12 per cent each.